Its the first day of October and a beautiful autumn morning. 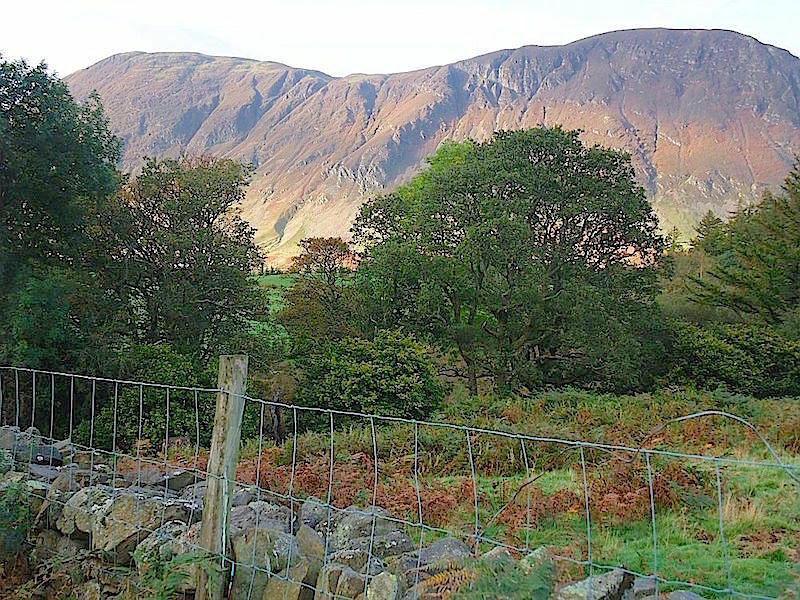 There isn’t a soul about as we park up at Lanthwaite Green by Crummock Water. Across the water the sun is high enough to light up the steep flanks of Mellbreak. 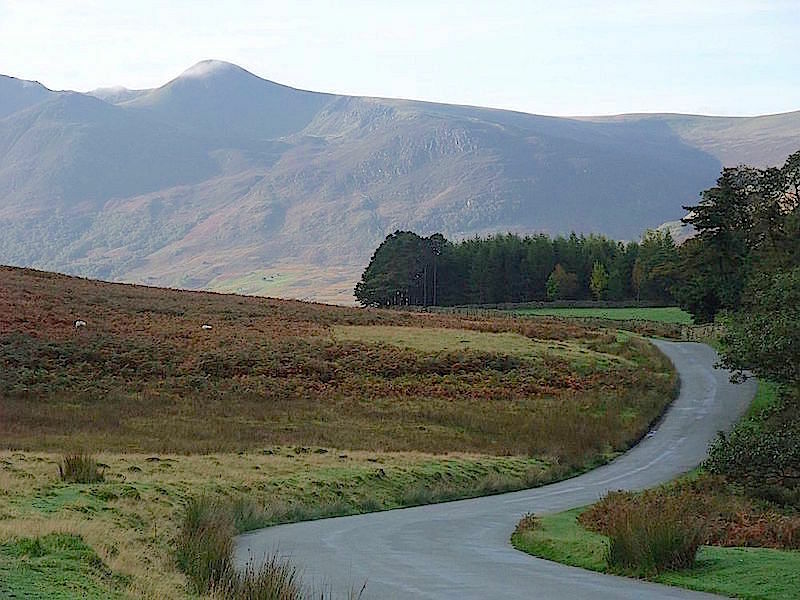 The deserted road winds its way down to Buttermere and a wisp of cloud drifts across Red Pike. 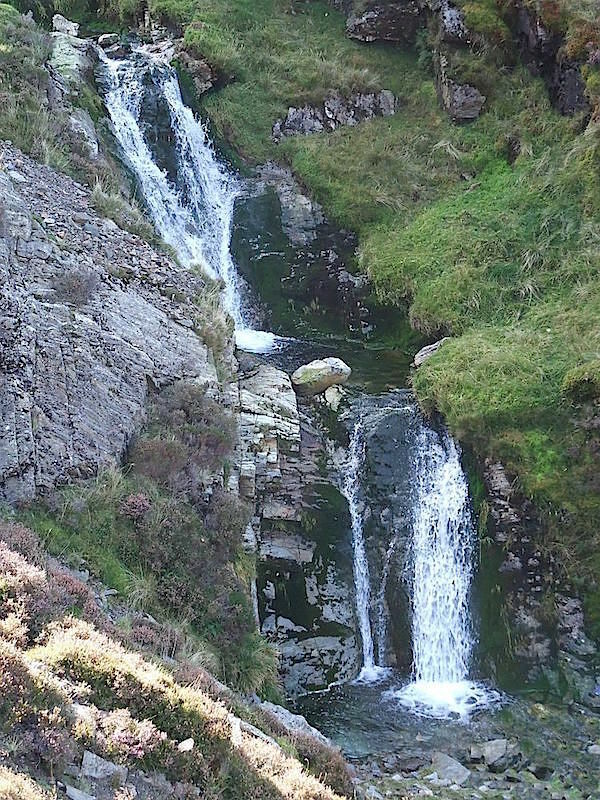 Across the road the slopes of Whin Ben and Whiteside are clothed in the rich umber tones created by the withering bracken. 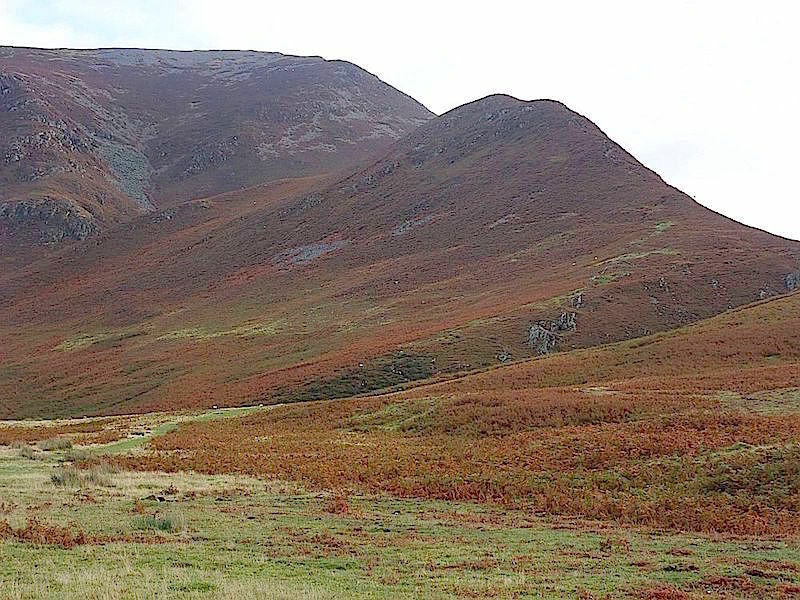 More autumnal shades along the lower slopes as we make our way up Gasgale Gill. 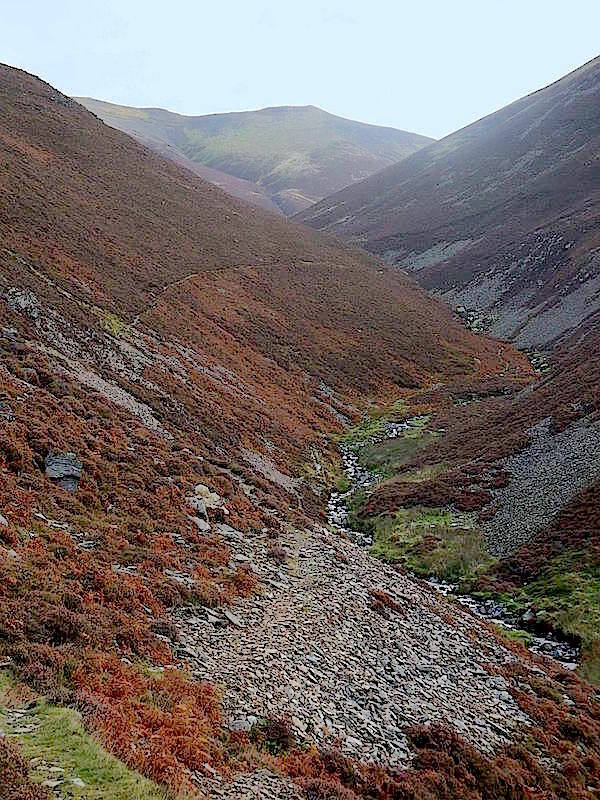 A look back down the gill at the sunshine lighting up Mellbreak and the fields and fells around it. 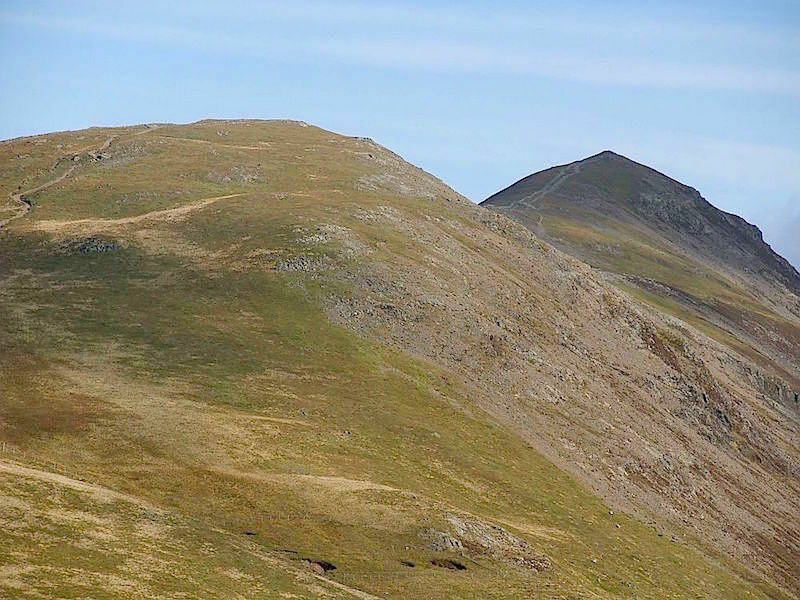 The slopes of Grasmoor on the left are keeping us in the shade for the time being. It won’t be long before we are out of the shade, Gasgale Crags are now glowing in the morning sun. 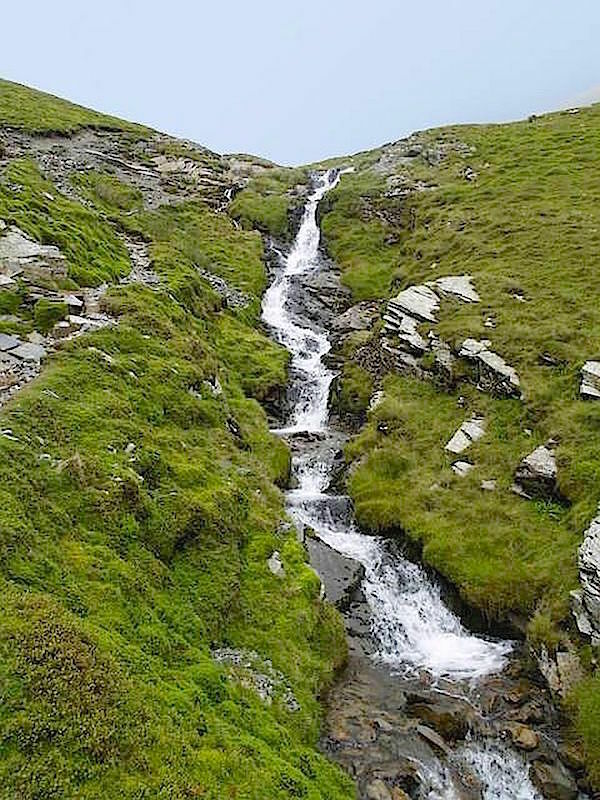 The gill has several lovely little waterfalls along the way. We’re nearing the top of the path now, and although the gradient is not too steep, its enough to create this very long fall. 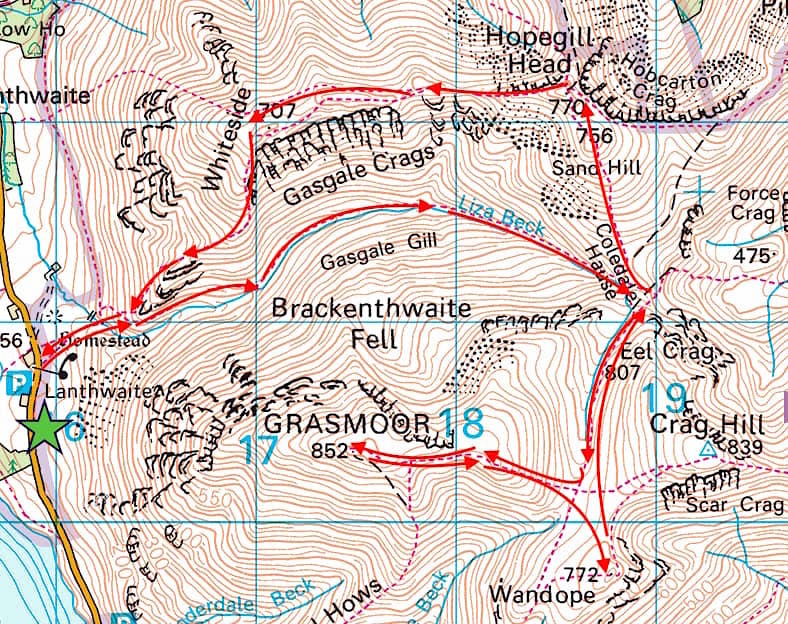 We’re out of the gill now and looking back down the route we have followed. 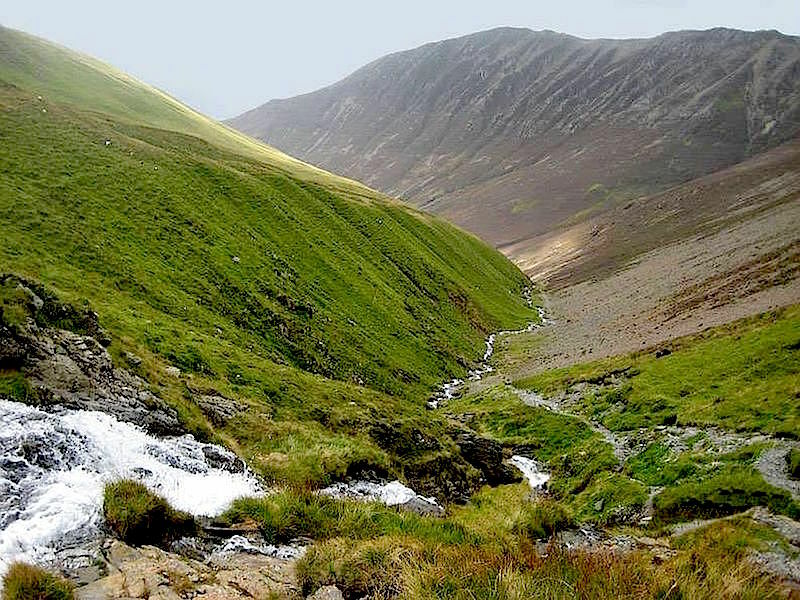 When you reach the top of the gill you are at Coledale Hause. 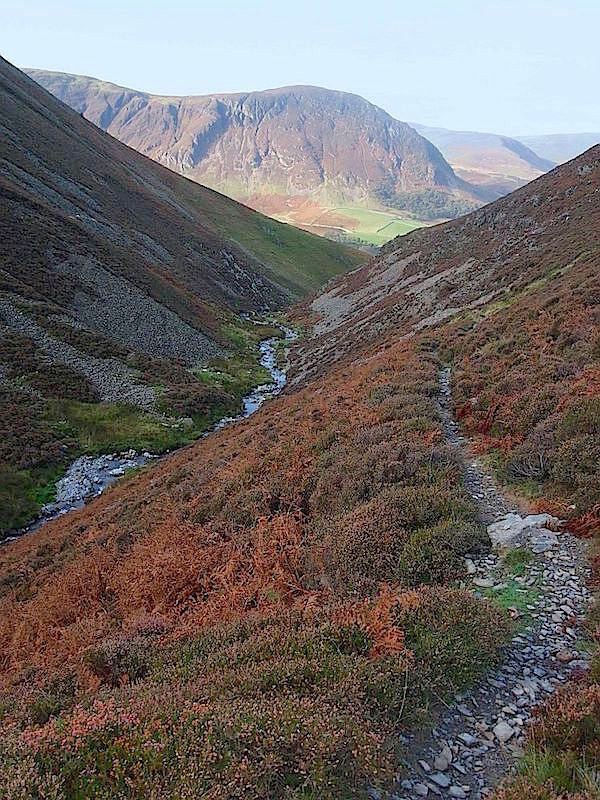 This is looking up at Sand Hill and over to Grisedale PIke from the Hause. 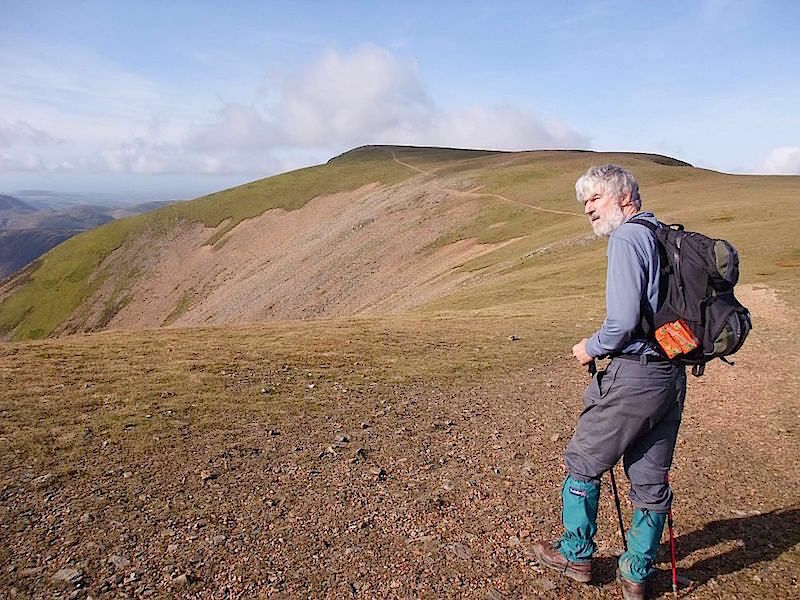 Also from the Hause a look across to the ridge between Hopegill Head, which is just out of shot to the right, and Whiteside over on the left. 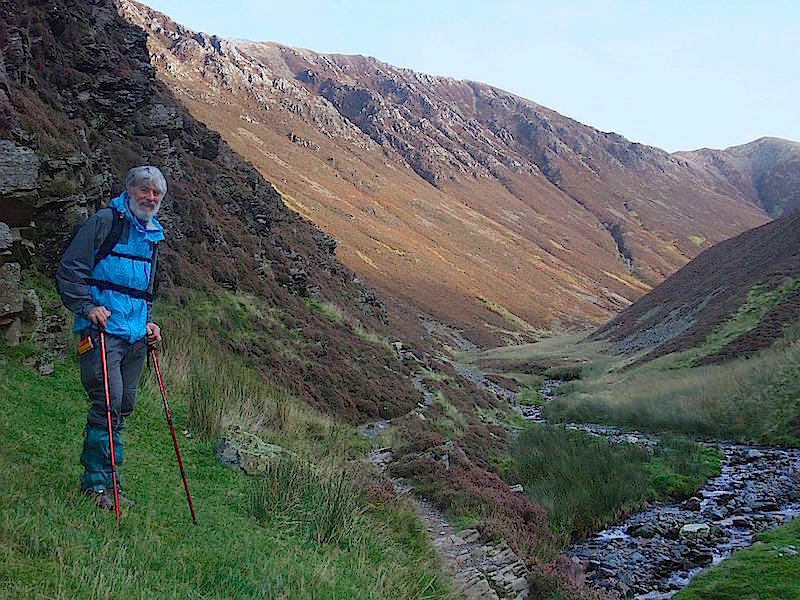 From the Hause we make our way to the start of the path up to Grasmoor. Reaching the top of the path in the previous photo brings you out onto this huge expanse of flattish grassland. 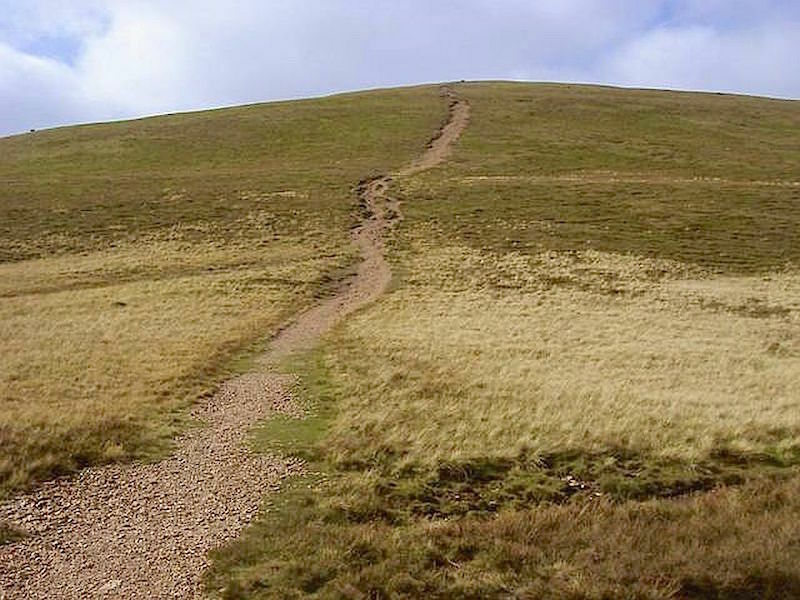 The path leads directly to the summit which is the shaded area on the centre skyline. 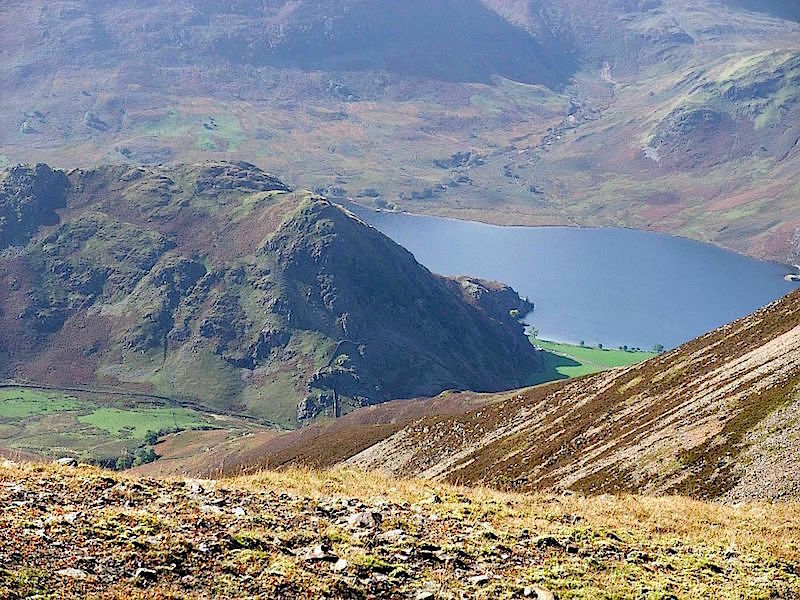 From the summit area the view down to Rannerdale Knotts with Crummock Water behind. 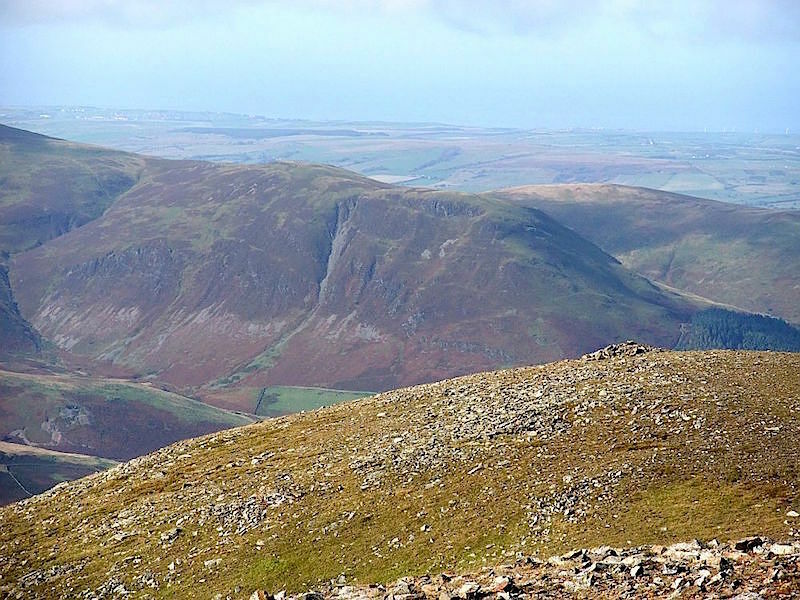 Also from Grasmoor’s vast summit area, a view of Mellbreak. 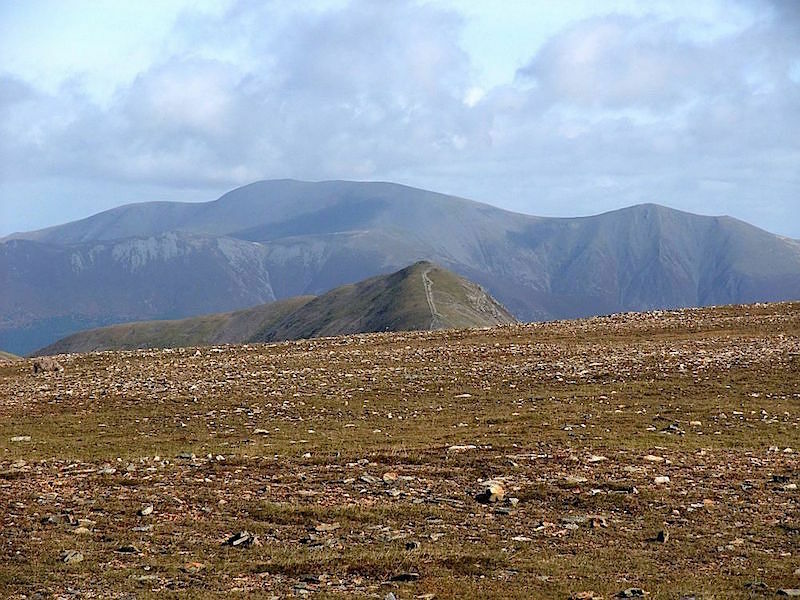 Grisedale Pike peeping up in the middle foreground with the Skiddaw fells beyond it. 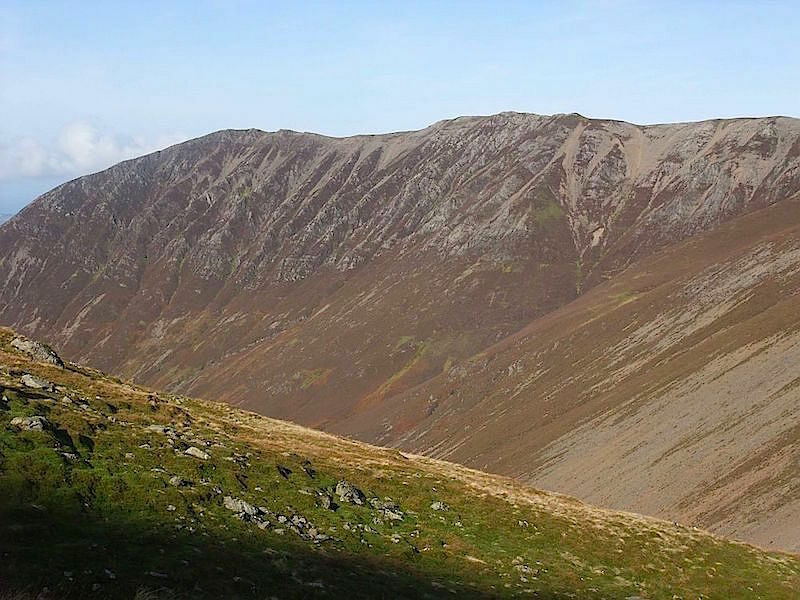 I don’t know how many football pitches you could get on Grasmoor but it would certainly be quite a few. The ground staff would have to do a fair bit of work though. 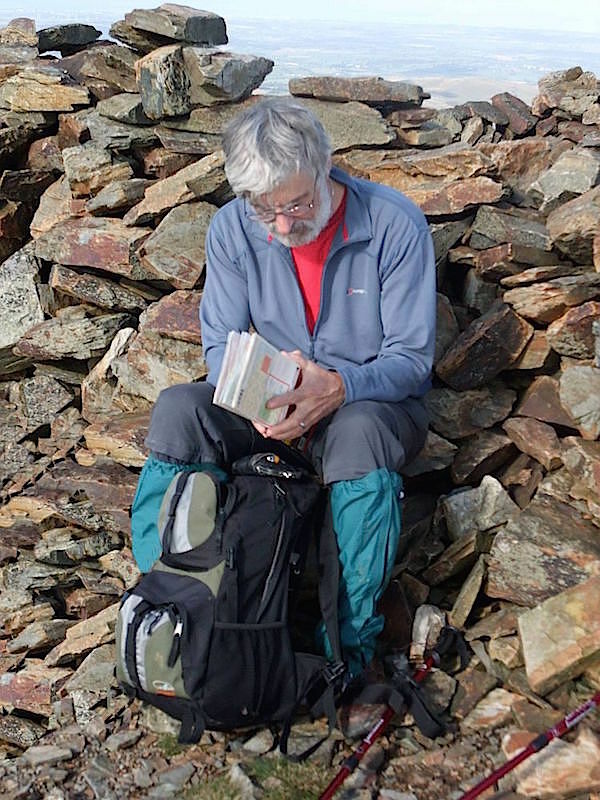 A sit down and a look at the map in the shelter on Grasmoor summit. This was the last photo I was able to take on this walk because when I went to take the next one the camera died on me and fresh batteries failed to resuscitate it. You can imagine my annoyance and frustration, this is only the first fell of the day, there are four more on the route and I won’t be able to take shots from any of them. We continued with the walk which was thoroughly enjoyable in the glorious weather, but the loss of the camera niggled nevertheless. Its been playing up on and off for a while now so I suppose its time to dump it and get something else, ho hum.